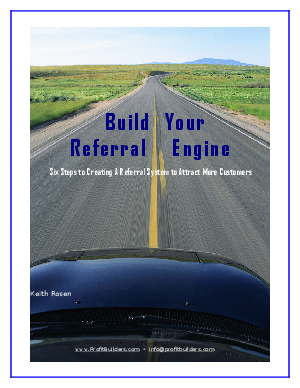 How do you build a referral engine that keeps a steady flow of new business heading your way? A few simple tools and a well-conceived strategy is all you need. This new eBook from Profit Builders explores the six steps to building a referral system that generates more selling opportunities and more customers.